This is a five part video lecture series featuring the Rev. Dr. Alan D. Strange teaching on Presuppositional Apologetics. This conference was sponsored by Resurrection Presbyterian Church in Oshkosh, WI. The conference took place on October 20th-21st, 2018. In the first session Dr. 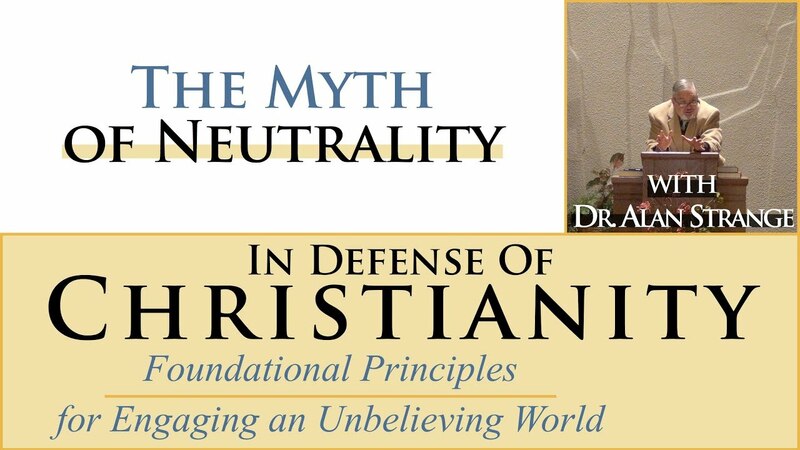 Strange evaluate the unbeliever’s claim to be neutral regarding their interpretation of reality and demonstrate that this is a myth since no worldview is neutral. The second session looks at how a biblical approach to unbelief requires an exploration of the presuppositions that lie underneath unbelievers’ interpretation of reality. Session three looks at the resurrection of Jesus Christ and its apologetics’ value while session four looks at the problem of evil and how in order to attempt to refute Christianity with it, unbelievers still have to rest on Christian worldview. Finally session five is on the Gospel.